August, in its final stage of summer, has the markets booming with the last of the colorful fruits. It’s the best time of the year to enjoy the vast array of fruit before the fall season begins to creep in. Once the dog days of summer have arrived, I’m eager for fall and there’s one fruit that begins to signal the end of summer for me. 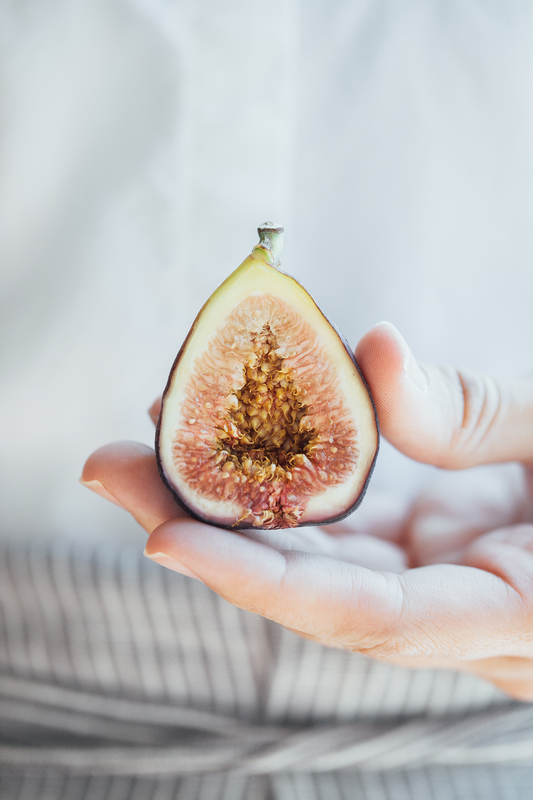 Figs. Usually, I miss their arrival and swift departure in the first few weeks of June. Seeing them appear in August is a relief as it signals that the long days will surely come to an end. 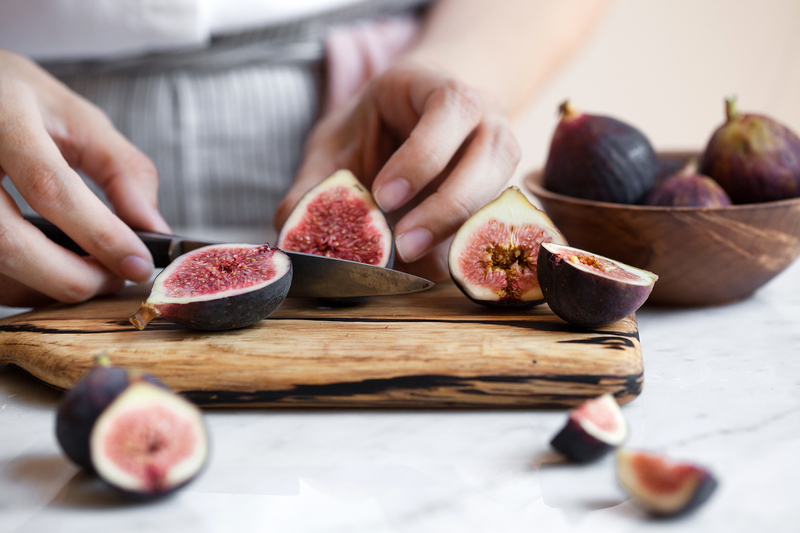 Figs are sweet, tender, and juicy. Cutting them open and revealing their gorgeous vibrant color never gets old either. Lately, I’ve been craving tea cakes and since financiers are simple to create it seemed like the best way to enjoy these welcomed jewels. 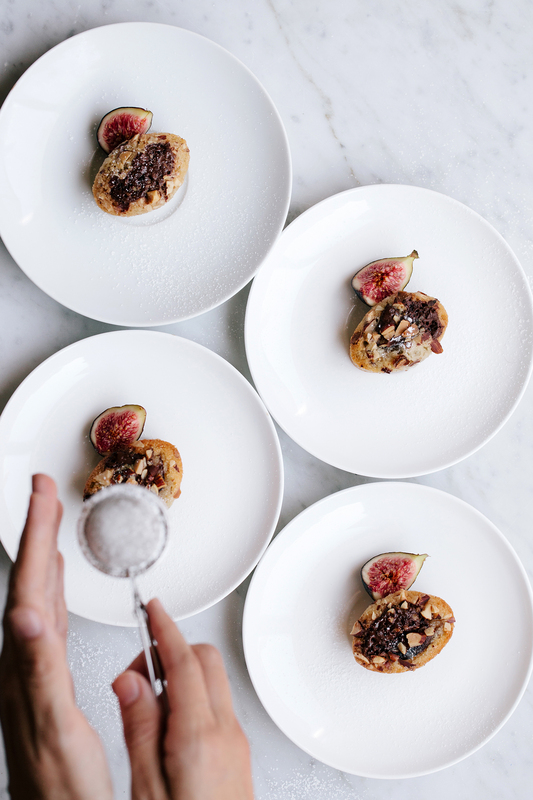 Fig, Dark Chocolate & Almond Financiers. Financiers are lovely domed French tea cakes. The origin of their story comes from the late 19th century when a French pastry chef owned a shop near the Paris Stock Exchange. He named the financiers for the wealthy bankers who frequented the shop and baked the little cakes in a bar shaped mold that resembled bars of gold. They were made with brown butter (beurre noisette) and crumbless, making them the perfect portable snack for busy bankers. Today, the signature component of financiers is still the brown butter, but they’re baked into a variety of different shapes. For these Fig, Dark Chocolate & Almond Financiers I used this oval mold; however, you can use a mini muffin tin or even a small cake round. Choose whichever mold shape, muffin tin, or baking pan you prefer. Just be sure to adjust the baking time and bake until the cake is golden. It’ll be crispy around the edges with a very tender interior crumb. These cakes can be eaten for any occasion. They make for a delicious snack and look beautiful set out for a special event for guests to enjoy. Feel free to substitute in any of your favorite fruits or nuts as well. Enjoy these last days of summer! Preheat oven to 350F (175C). Place silicone financier mold on a large baking sheet. Heat butter in a small saucepan over medium heat. Cook, without stirring, until butter begins to brown, about 5 minutes. 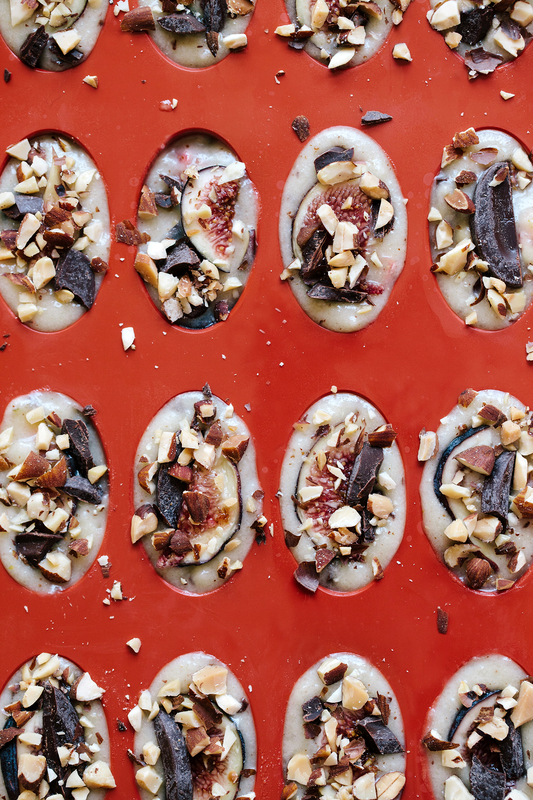 Pour into a clean bowl and set aside to cool. 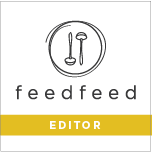 In a large bowl, whisk together sugar, almond flour, all-purpose flour, and fleur de sel. Whisk in egg whites and mix thoroughly. Whisk in grape seed oil and then brown butter. 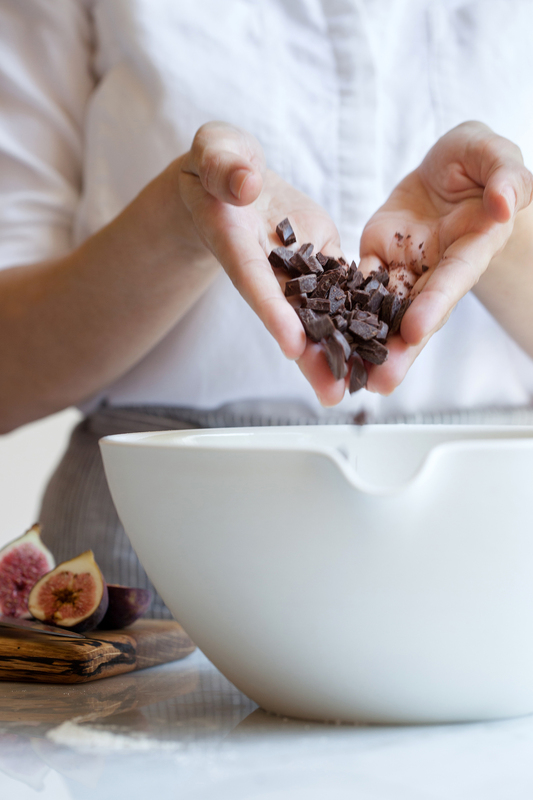 Fold in figs and dark chocolate. Chill batter for 20 minutes. Scoop batter into a large piping bag. Snip off the tip and pipe batter into each silicone mold cavity until full. If preferred, spoon the batter into each cavity instead. 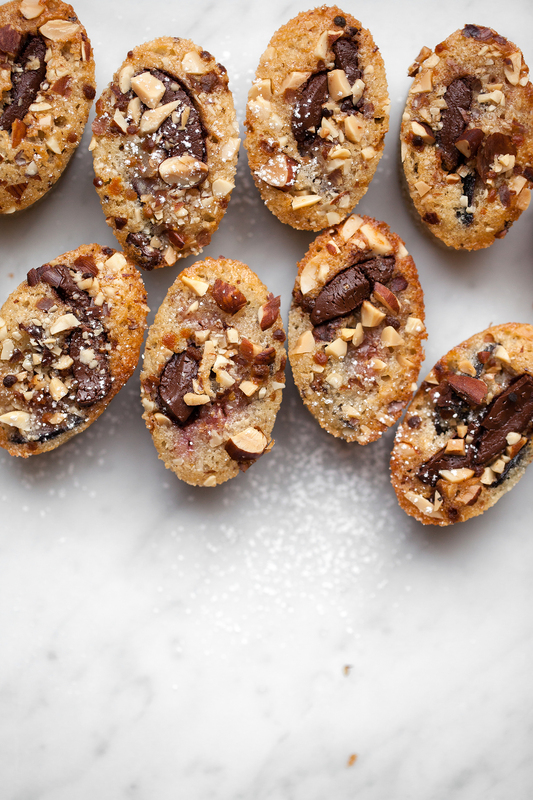 Sprinkle financiers with half of the chopped almonds. Bake for 25-28 minutes or until financiers are golden. Remove from oven and set on cooling rack to cool for 5 minutes. Remove financiers from mold and allow to cool completely. Repeat process with remaining batter and almonds. Financiers are best enjoyed the day they’re made, but maybe be stored in an airtight container for up to three days.